Dr. Bing Zhao is the Director and Global Coordinator of the Purchase for Progress (P4P) initiative of the United Nations World Food Programme (WFP), taking up this role in April 2016. P4P aims at helping smallholder farmers to raise agricultural productivity, explore formal market and improve livelihoods, while contributing long-term sustainable food security and nutrition for the poor and hungry, and the attainment of SDGs. During 2012-2016, as Head of the Centre for Sustainable Agricultural Mechanization (CSAM), a United Nations regional institution under ESCAP, he made great headway in promoting the role of agricultural engineering and mechanization in achieving agricultural sustainability in the Asian-Pacific region. Previous to that he worked for 5 years as Deputy Director-General of the Centre of International Cooperation and Service of the Chinese Ministry of Agriculture, and during 1999-2007, he served in the Chinese Permanent Representation to the UN Agencies in Rome as alternate representative. In 1990-1999, he was programme officer in the Department of International Cooperation in the Chinese Ministry of Agriculture. 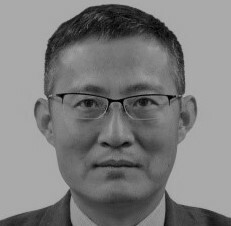 Dr. Zhao holds a BA degree in international studies from Beijing Foreign Studies University and a Master’s degree in international business law from the University of Rome ‘La Sapienza’. His PhD degree was obtained from the Third University of Rome (Roma Tre) in the area of economics and law with a specialization on Consumers and Market.